Home > Notions and More > Scissors > Curved Perfect Scissor - 3 3/4"
Curved Perfect Scissor - 3 3/4"
This 3 3/4" scissor has short, curved stainless steel blades and a soft ergonomic grip that fit most hands comfortably. One blade is micro-serrated which allows you to cut more precisely. 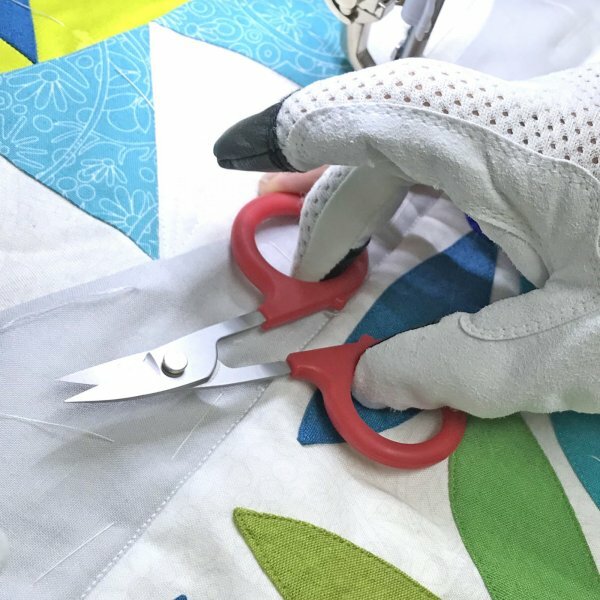 I don't use these scissors for fabric, but you could. 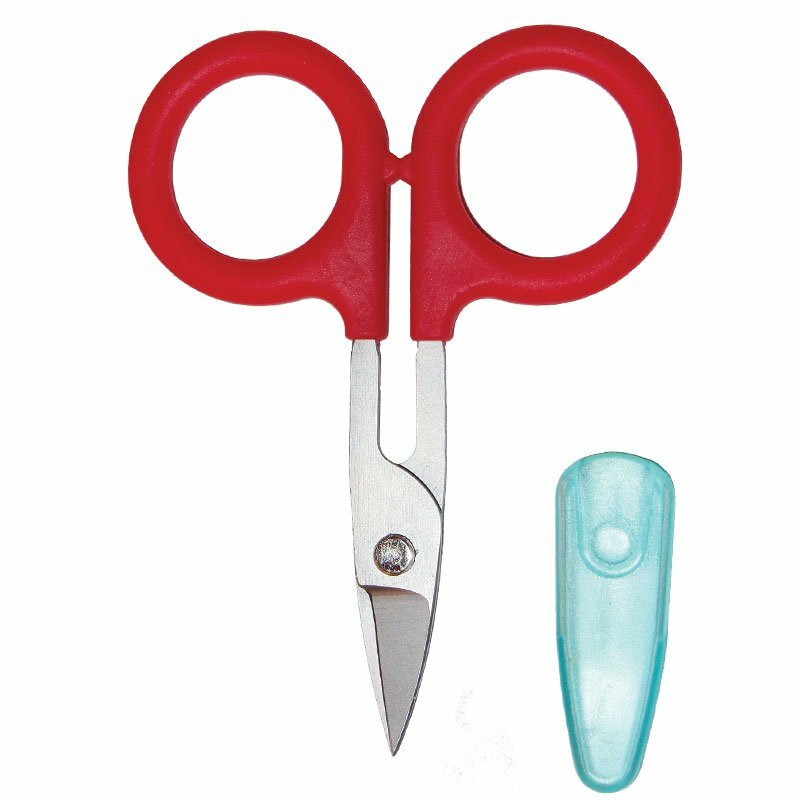 I think that they are perfect for clipping threads close to fabric. 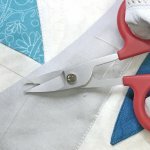 I use them to clip threads when I am hand sewing and machine quilting. It is surprisingly easy to pick them up from a flat surface.